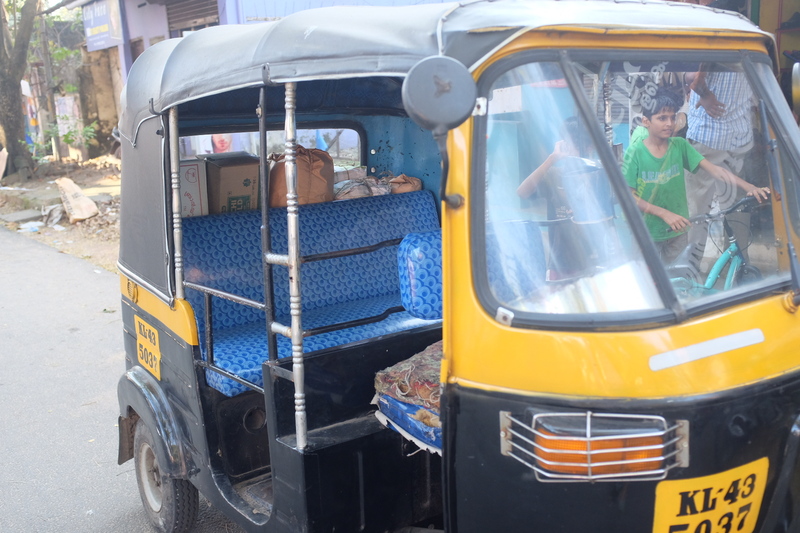 One of the first things one encounters upon arriving in India is the auto rickshaw. It’s everywhere. in Delhi alone there are an estimated 70,000 rickshaws. One study estimates between 2 and 11 rickshaws per 1,000 inhabitants. 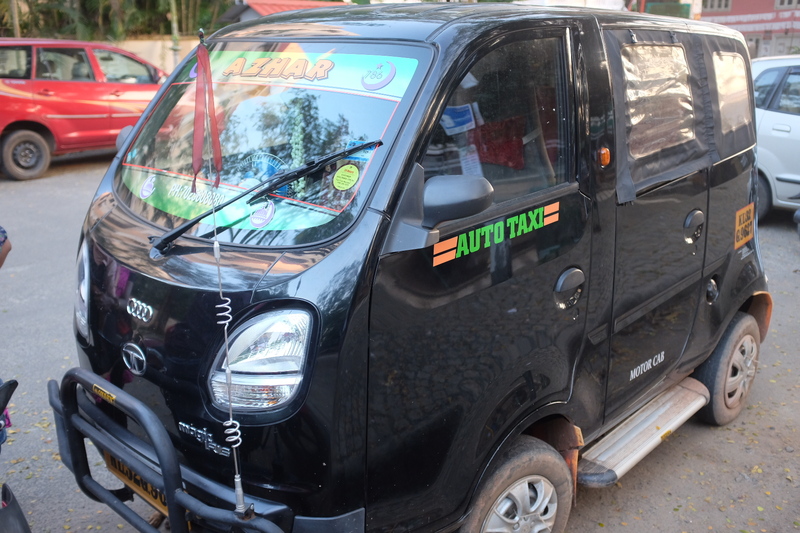 In a country with a population of 1.25b that would mean between 2.5m and nearly 14m rickshaws on the road, and an army of rickshaw drivers numbering between 5m and 28m people (drivers operate their vehicles for twelve-hour shifts). Many riders complain about rickshaw drivers. The most common objections are that drivers refuse passengers and overcharge. Meters are usually broken, tampered with or just never used. This can lead to bad-tempered haggling on the street and when no mutually acceptable resolution is found, drivers simply speed off. The first auto-rickshaw was introduced to India by Bajaj in 1959. It was inspired by Piaggio’s Ape C model (Ape models are still very common). Today the five biggest rickshaw makers are Atul Auto, Piaggio, Mahindra and Mahindra, TVS Motors and Bajaj. Bajaj has greatest market share. 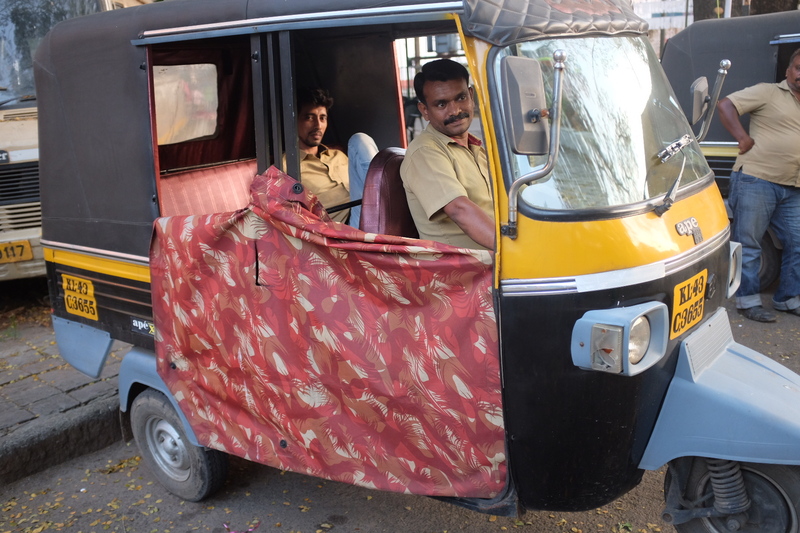 With such great numbers on the road and multiple producers, there’s tremendous variety in the rickshaws. A typical rickshaw driver is a man aged 30 to 50 years. 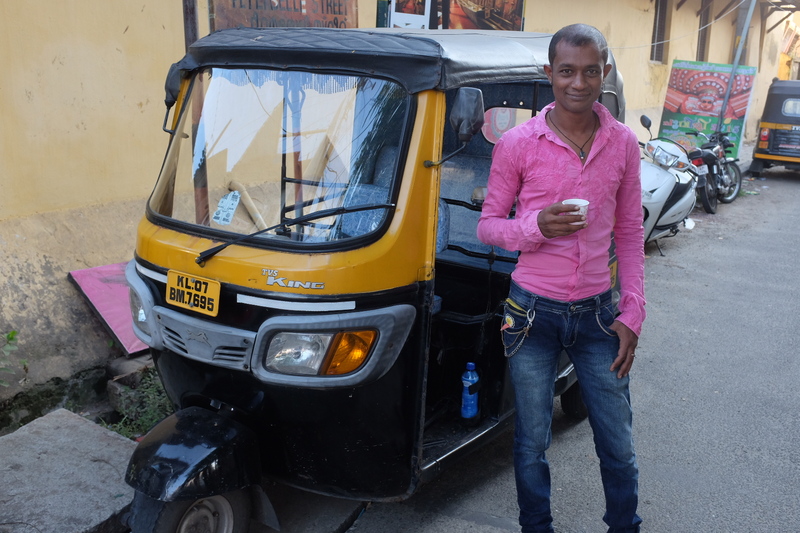 His rickshaw has an 8 liter tank, his mileage is 33km per liter and he typically drives up to 100km per day. Daily revenues are Rs650 (about CAD 13). 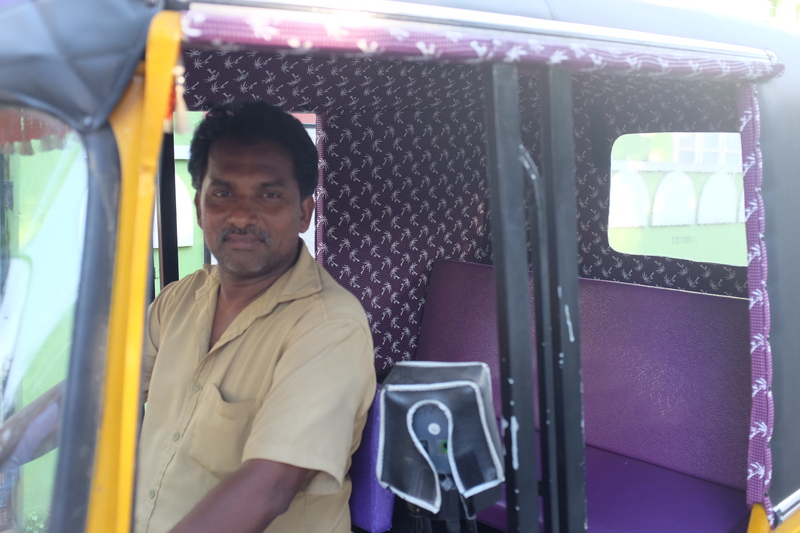 Drivers that rent their rickshaw pay up to half of their earnings in rent. Safety and emissions are big issues for rickshaws. 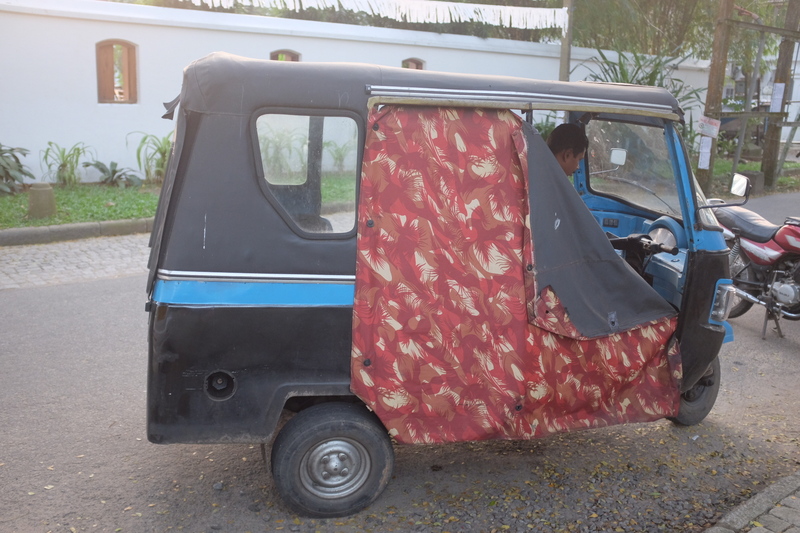 Although rickshaws travel at slow speeds (less than 50kph) they’re not particularly crash-resilient and injuries are the common result of collisions. There is a push to improve passenger safety through simple design features such as seat belts and padding on hard surfaces. 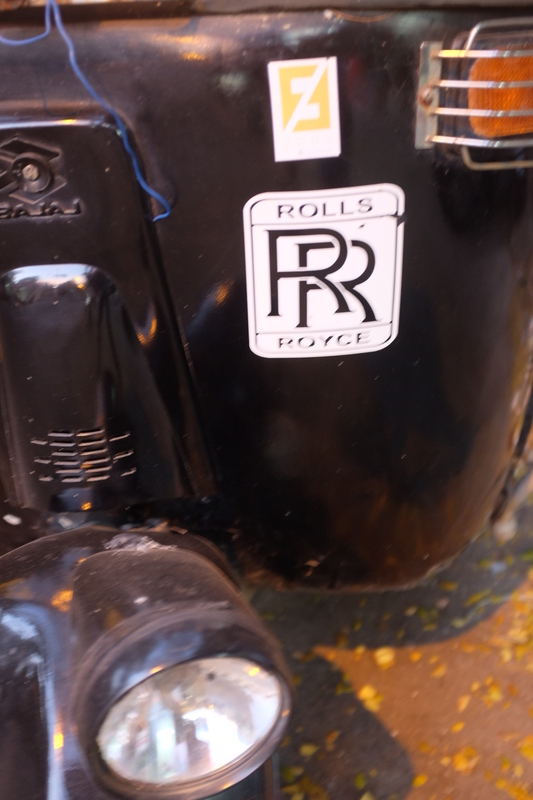 Most rickshaws have a two-stroke engine (about 150cc). 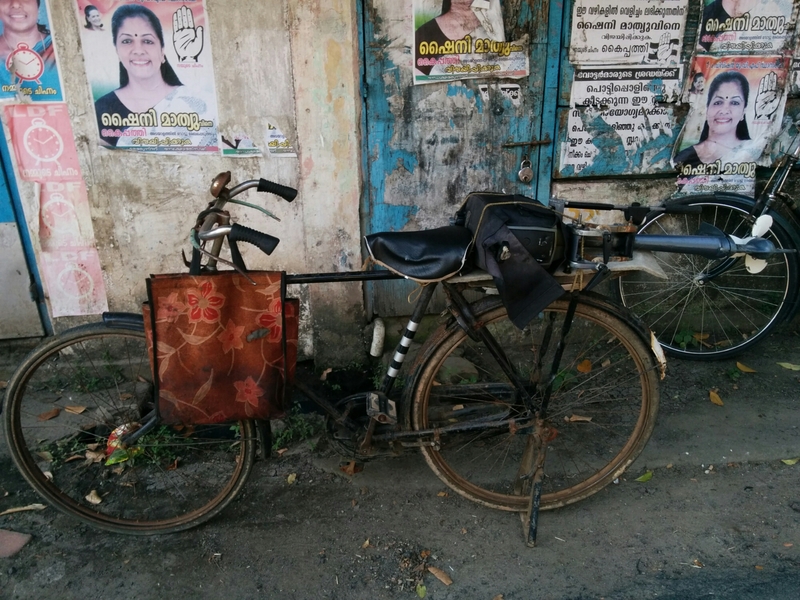 This type of engine is lighter and cheaper than a four-stroke engine but it pollutes more: rickshaw emissions have particularly adverse health impacts. Solar- and hydrogen-powered rickshaws are attractive zero emission alternatives. They are costly however, and there is limited infrastructure for refueling and maintenance. 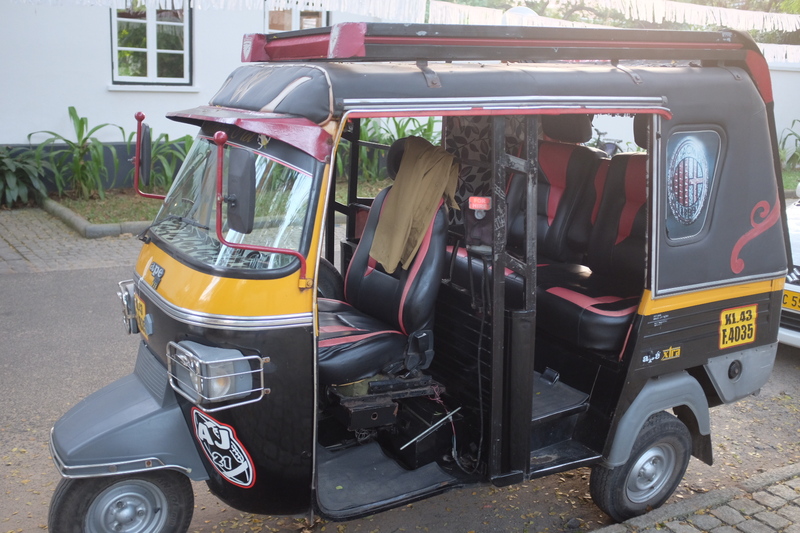 On the streets of Kochi, this ultra compact auto taxi holds some promise. But when it comes to alternatives, the most promising prototype we’ve seen is this Amphibious Chinese All-Steel Roadie with built in shopping bags, kickstand and 1hp outboard motor. Hi Nig and Louisa. Judy has been sending us your blog for the past month and we love it. What amazing experiences you are having! We look forward to every edition. You are missing unheard of fine weather here but otherwise life is all leading up to Christmas. Yours will certainly be one you will never forget. Good for you, living what others only dream about. Merry Christmas and Happy 2016 to you all. I am blown away by your analysis of rickshaw issues and I am Imagining how helpless I would be dealing with it all. suggest that you hurry home and run the Ontario Government or I may need to travel indefinitely. 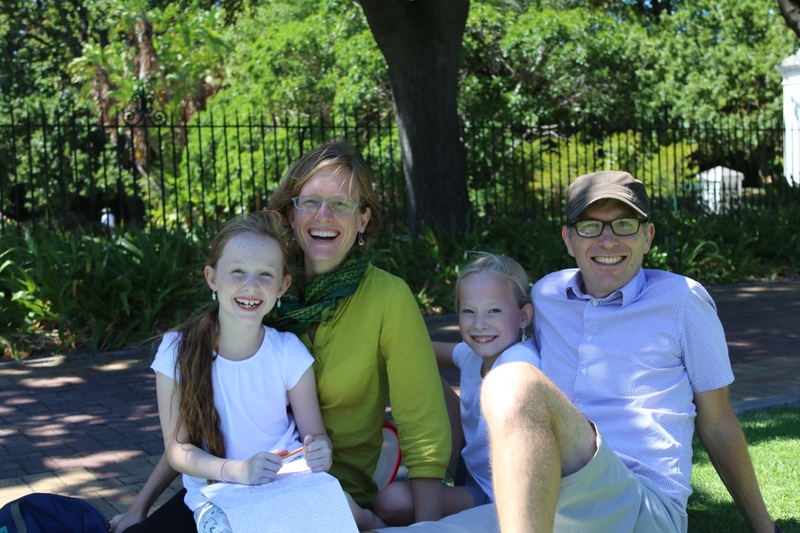 Hi Nigel and family what a wonderful experience for all of you, I enjoy the blog very much and I am learning a lots about those beautiful countries you are visiting through your commentaries. You are an inspiration!!! All the best for the New Year. with love.